I first read Seamus Heaney when I was a teenager. I’d never read a poet that made much sense to me before, but with Digging Heaney opened the door to the art for me. He wrote poems about the world of my parents, somewhere I had only experience on Summer holidays and in the sound of their accents and stories. Their voices and sensibilities came to life afresh in his words and I found a new way of viewing things through their eyes. I could see anew and clearly what had always been there. Other poets followed but Seamus led. 20 years later I found myself working at Faber and Faber. For a working class boy from the Midlands, that in itself was a source of awe, but to work with Seamus Heaney? I was lucky enough to meet him a good many and he was a gentle, kind man with a rare aura of wisdom. Perhaps because he was. He was fun too, a nip of whisky before the sales conference reading. And what a reader, once seen and heard, never forgotten. One day early in my time at Faber I booked the boardroom for a meeting. On arrival, looking through the glass door I saw Seamus Heaney sitting at the table writing. We hovered for a moment toying with whether to point out the booking, then went off to find another room. I don’t know what he was writing, his shopping list perhaps, but I like to think that we failed to interrupt a poem, a magic that was taking place as we hovered. I hope so. ‘Wherever that man went, he went gratefully’ The Guardian obituary. And a life in pictures. For all that you have done, we are grateful. It’s been a very long journey from New Zealand to Britain, through a very long Narnia like double winter. But this morning it suddenly feels like Spring. And that is very, very welcome. So my family and I are slowly settling down to life and work here. We settled in Cambridge, which means an excellent reaquaintance with cycling and there’s a lot of exploring to do. So far though its good. I’m back in publishing at Yale UP and its hugely interesting learning a new business, understanding a new mode of publishing and getting to know a host of new people. And its certainly keeping me on my toes. There’s been more than a twinge of sadness (or two) about leaving New Zealand, (though I have decided to block my ears to any mention of New Zealand’s finest Summer in a generation) but in some ways its not that far away. I’m reminded of the strange tangle of international connections this morning as I read this article from Wellington’s Dom Post. Its an interview with my friend Neil Cross, born in Bristol, a resident of Crofton Downs and writer of tonight’s episode of Dr Who. My oldest son, Joe and I are huge fans of the good Doctor (we’ve been limbering up for this new series with a lot of old epsiodes). To be able to sit and watch it here live on a Saturday night feels the most British of things. And to know the writer is terribly exciting. So we’re very, very excited for Neil, to whom I think this episode means a great deal and we’re going to be ready and watching tonight at 6.15 BST. Obviously its going to rock. Best of luck Neil. And for you at home here’s a taster…. So we’re settled enough now to write and think properly and there seems a good deal to talk about. So I’ll be posting once a week or so, or more if I can/need. Good to be back, and may Spring truly be here. So the blog has been very quiet for a couple of months now. How come I hear you ask? Well it’s been a very busy time with much to think about personally and professionally and rather than thinking out loud, I’ve been thinking inside. I’ve been at the New Zealand Book Council for over five years now, and while it’s often been a tough gig I’ve had the benefit of a great board to work for and fab staff to work with. But a new opportunity popped up, as these things do, to go back into publishing, with Yale University Press in London. And of course it seems irresistible. As much as anything else its a chance to do some of the things I’ve speculated about here. And so after nearly six years in New Zealand we’re heading back to Britain. This is, when it comes to it, much harder than I thought it would be. New Zealand is a beautiful, relatively calm and relaxed place and the people are a gentle and welcoming bunch. I shall miss them and Aotearoa, very much. My children, those that emigrated and the one that arrived since are very much the barefoot and gently feral New Zealand children we hoped they’d be and it will be interesting to see how they adapt to the rather more full on style of UK life. But we’ll do what we need to, to make that okay. And I have no doubt we’ll back in the future. There are wonderful grandparents that we will all miss terribly. Which leads me to other news that’s been keeping me busy. Michelle and I have been together through 14 years and 3 kids but for all sorts of reasons, not least a shared dislike of too much fuss, we just never got round to getting married. Until a couple of weeks ago. For reasons beknownst only to them, Booksellers New Zealand very kindly covered it on their blog, a kind of (very Kiwi) version of Hello. Apparently we’re way more popular than supply chain issues at present. I don’t know why it took so long but I’m prouder than anything to be married to her. Never thought a ceremony, a ring and a certificate would make much difference but oddly it turns out that saying things out loud matters. I also think it works better having your kids at the wedding. I know, cart before horse, but it wouldn’t have been half so much fun without them and nice for them to see us say those important things out loud. And I got to read a poem featuring dogs peeing up lamposts. Which was nice. You can’t beat a bit of Auden on the weddings and funeral front. So I’m off to London at the beginning of October with the family following after. Straight off to Frankfurt and I will therefore get to go to New Zealand’s ball at the book fair, which will I think be a pleasure. So will the blog continue? Yes indeed it will. There’s still a lot I’d like to write and muse about and while think the emphasis may change somewhat, increasingly I feel the need to write stuff. This blog has been a very important outlet for me and I’d like it to evolve and take some new directions. It’s likely that the next few weeks will be hellishly busy so posting unlikely to be huge but as I head into the twilight of my time at the Book Council, I’m going to be trying some new things out and maybe documenting the shift. P.S. Its great to be able to handover the Book Council to the excellent Catriona Ferguson who takes over in September. 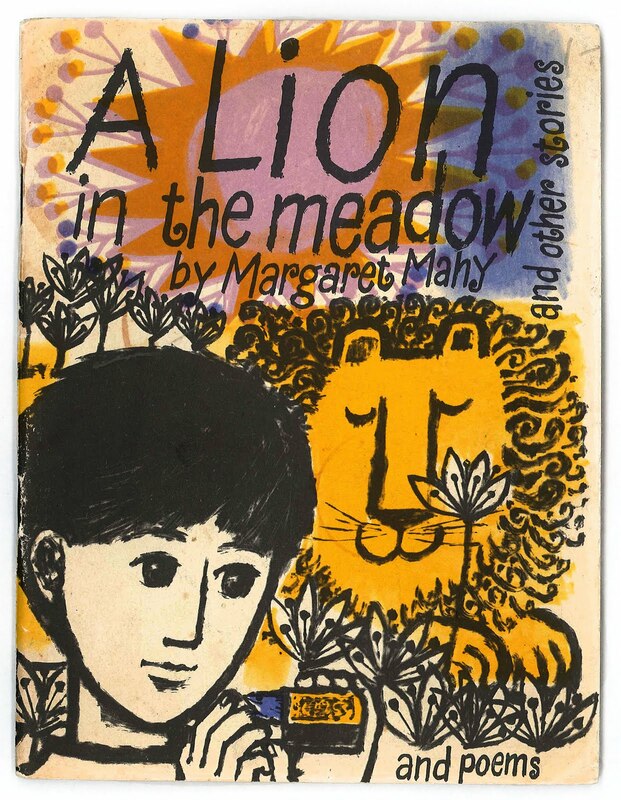 Great sadness here at the loss of the extraordinary Margaret Mahy. As one of my colleagues put it, ‘she’s the Edmund Hilary of New Zealand writing’. I like that because she was, undoubtedly, one of the great explorers of the imagination. We will miss the tales of her journeys. And we will miss her presence. My sincere condolences to Bridget, Penny and their families. Toby Manhire at The Listener has collected some of the best tributes to Margaret here. And on Graham Beattie’s blog there are some very touching tributes. I’ve been travelling and a bit busy with one thing or another. But returning I find this excellent little video. Words from the ever wonderful and far-sighted Douglas Adams (in 1993), animation by competition winner Eleanor Stokes and the whole thing was put together by the people at The Literary Platform. Seems like its been a long couple of weeks. Much to catch up on. For my money, Penguin have always led the way in design based creativity in the publishing industry. They are one of the very publishers to have actively cultivated and developed their brand for the reader. Their cover design and visual style can always be relied upon for originality and elegance, particularly with respect to series and backlist publishing. The Great Ideas series (designed by David Pearson) is a perfect example of taking backlist and re-presenting in a fresh original and compelling way (and spawned a number of spin-offs from Penguin and imitations from other publishers). What’s more, this kind of approach is an object lesson in how high design standards can pay off in commercial success. And now Penguin are revivifying another of their backlist strands with this beautiful piece of online excellence. What I love about this most is that plays to the heart of what I think the core business of the publisher, telling the story of the story in as compelling a manner as is possible. To sell stories, we need to capture reader’s imaginations before we can prise open their wallets. In this case the story telling is a marriage of old school elegance made possible and amplified creative technology. Brilliant. And you can see more of the campaign on Facebook. Courtesy of the Sydney Writers Festival which kicks off on the 14th May. Creative by Belgiovane Williams Mackay.